Dean Amrose is of counsel to the Boston law firm of McGrath and Kane, Attorneys at Law, Inc. Attorney Amrose is a member of the American Bar Association, Family Law Section; Massachusetts Bar Association, Family Law Section; and Boston Bar Association, Family Law Section. Attorney Amrose is a 1975 graduate of the State University of New York at Binghamton (now Binghamton University) and a 1978 graduate of the Boston University School of Law. He is a member of the bar of the Commonwealth of Massachusetts, United States District Court (D. Mass. ), the United States First Circuit Court of Appeals and the United States Supreme Court. Following law school, Attorney Amrose spent his first seven years as an attorney with public service organizations, the first two with VISTA (Volunteers in Service to America, now Americorps). In 1986 he joined the firm of White, Inker, Aronson, P.C. 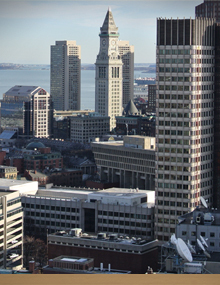 a prominent domestic relations firm, and then in 1993 he became of counsel to the Boston law firm of Malik, Lawton & DiCicco where he practiced for two years before moving to McGrath & Kane. Over fifty per cent of his work now involves family law matters including premarital or cohabitation agreements, mediation, paternity, divorce litigation and appellate work. The balance of his work primarily involves general practice matters, including real estate, contract or other litigation, estate planning and administration, etc. as an offshoot of his family law practice. Attorney Amrose has handled other cases as diverse as criminal law, intellectual property, employment law, and Ponzi schemes directed at the governments of small Caribbean nations. Attorney Amrose is rated by Martindale-Hubbell, AV Preeminent, their highest possible peer review rating in legal ability and ethical standards (reported to be the top 10% of attorneys nationwide). He strives to obtain a favorable outcome for his clients fully accounting for the emotional and financial costs of the litigation process.